Inadequate access to essential services such as health care, education, water, and electricity means that women spend large amounts of their time filling the gap. Despite these challenges, women and gender non-compliant people are organizing and resisting. They are visible in movements and protest spaces such as those advocating for Access to Health Care and quality AIDS Treatment, the Fees Must Fall movement, movements of communities affected by mining, the Worker Union movement, and many others. Even though this is so gender issues are still predominantly excluded from mainstream society and women’s voices and struggles . It is for this reason that Oxfam South Africa is focusing on strengthening the voices of women, connecting women’s struggles for greater impact and ensuring that support and mobilise gender-based social movements as an important step towards tackling poverty’s systemic roots of poverty and creating a just society. 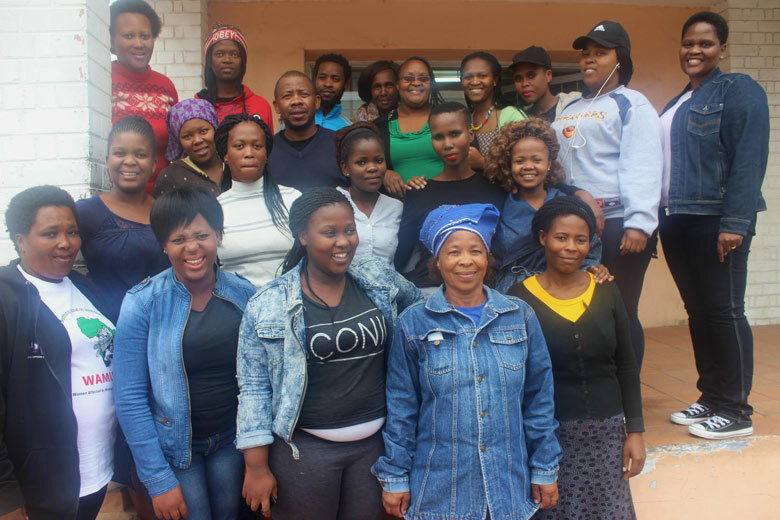 Oxfam South Africa supports women’s and gender non-conforming people’s capacity to liberate themselves through fostering powerful movements that can hold government and social institutions accountable to protect and expand their rights. Support grassroots organisations and movements of women and gender non-conforming people so that they can more effectively advocate for social, political and economic justice. Build and strengthen movements of women and gender non-conforming people for social justice. Support women’s advocacy to attain full and equal access to public and essential services. Promote women’s full participation in political processes. Support and deepen the participation of women in the economy. Deepen the analysis of the structural underpinnings of violence against women, girls, and gender non-conforming people, and intervene through campaigns and advocacy. Embed a critical gendered lens in and through all the work of Oxfam South Africa and its partners.